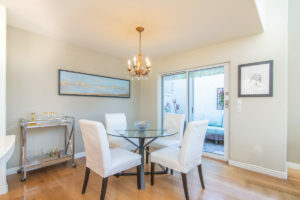 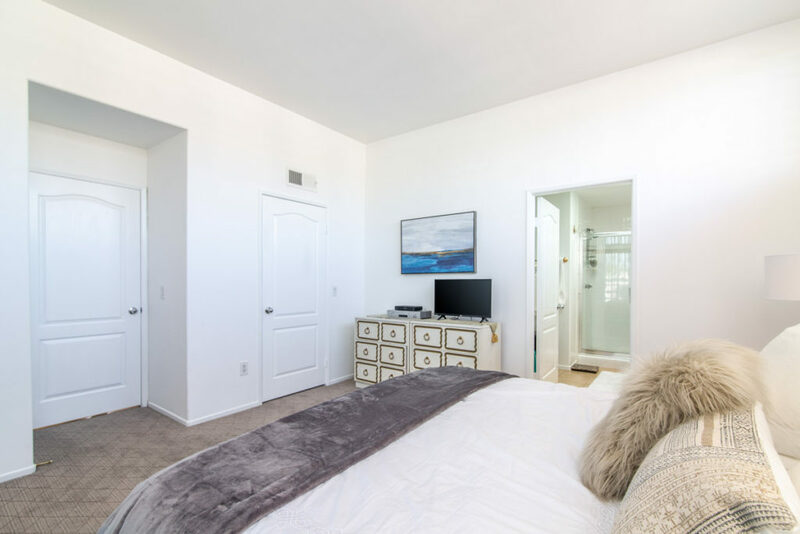 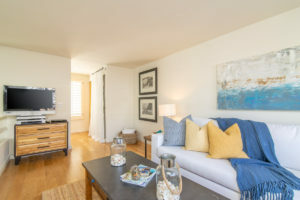 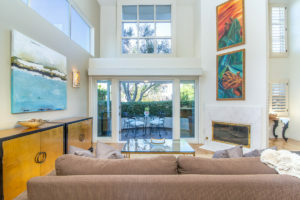 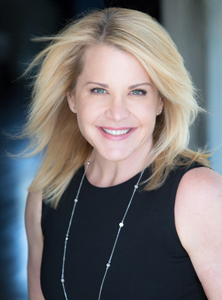 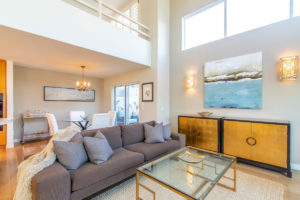 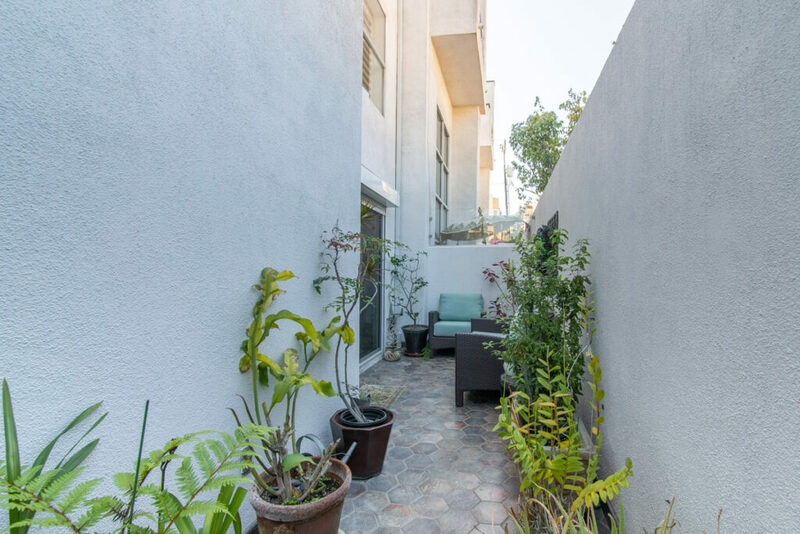 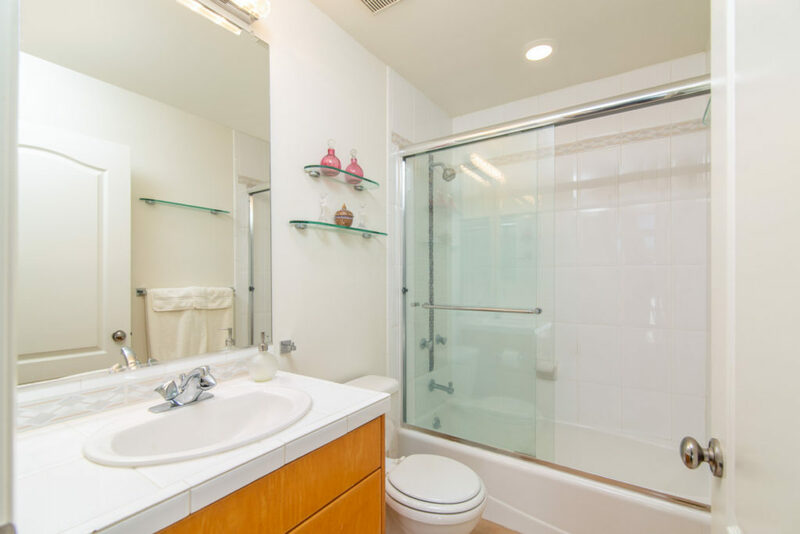 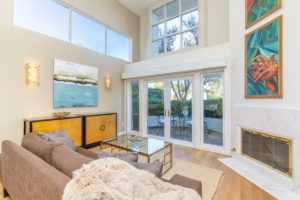 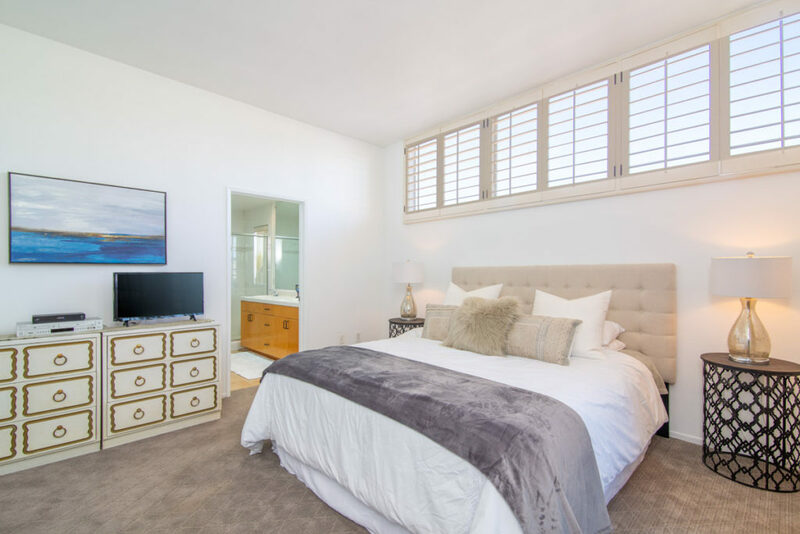 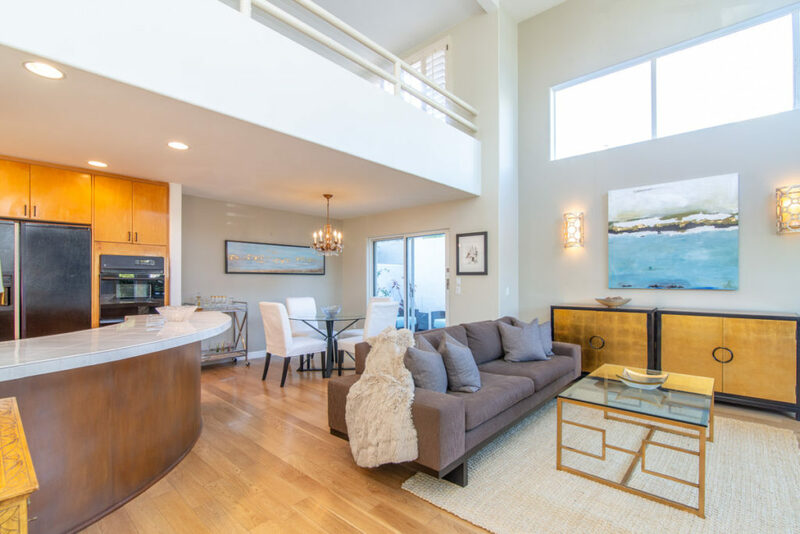 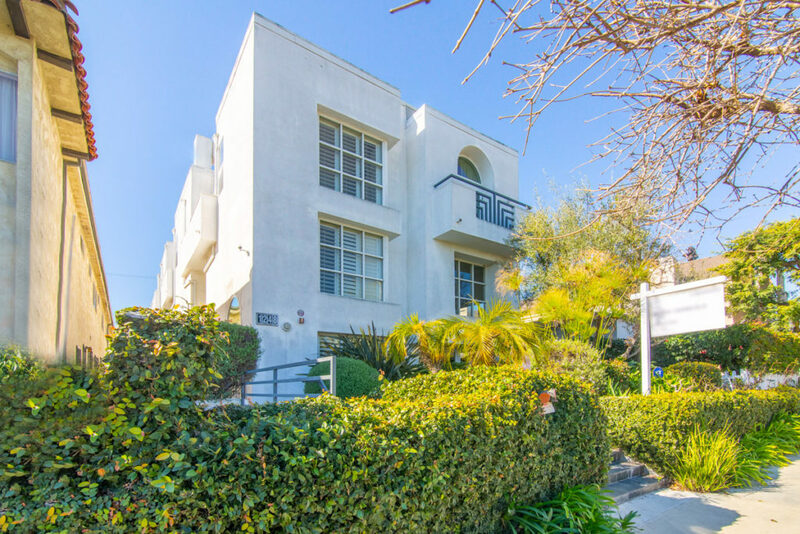 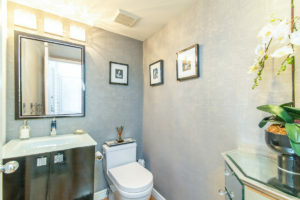 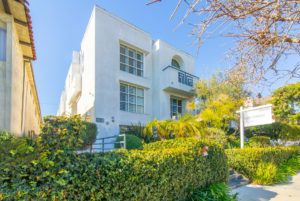 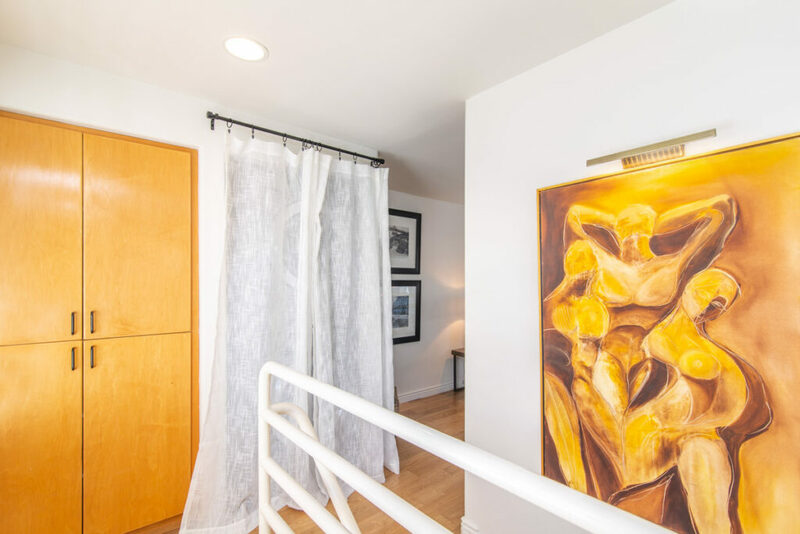 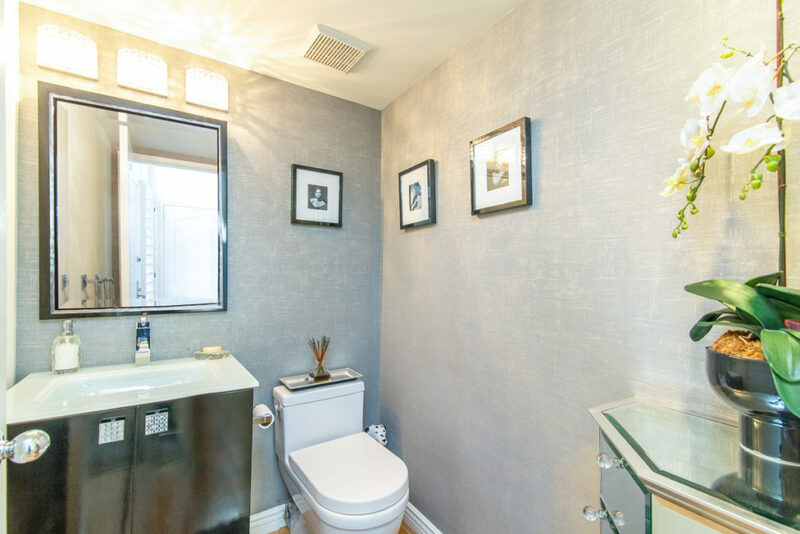 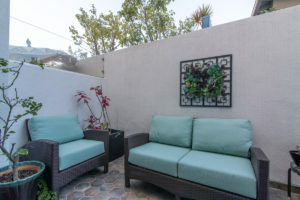 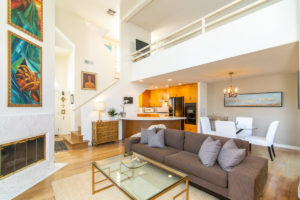 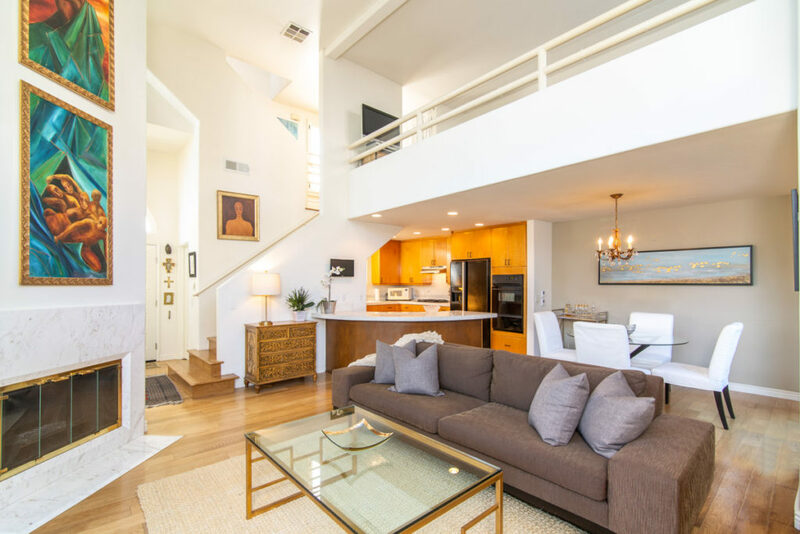 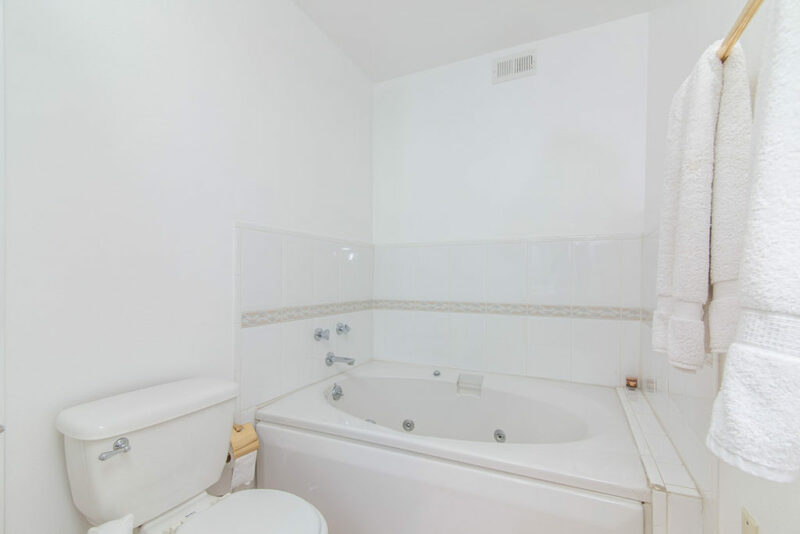 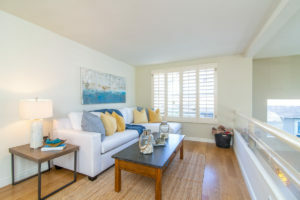 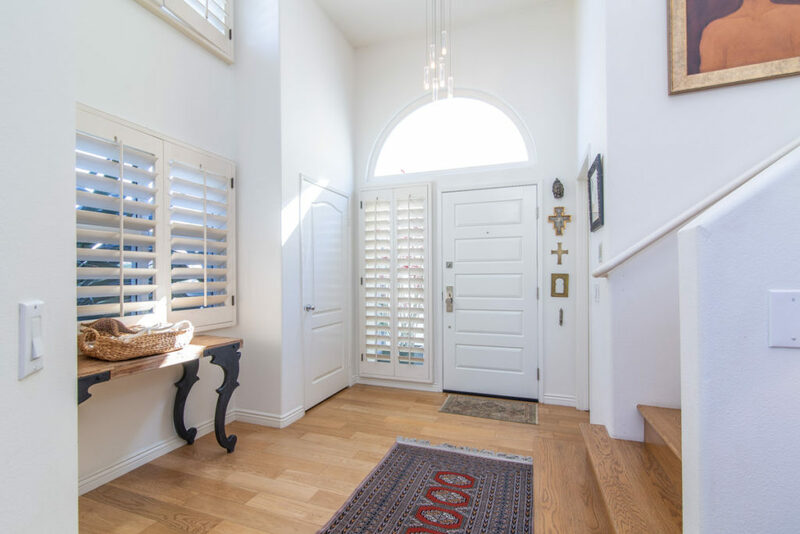 Exquisite front facing 2 bedroom/2.5 bath plus LOFT townhouse in excellent Santa Monica location close to shops, restaurants, local hospitals, and just a block to Whole Foods. 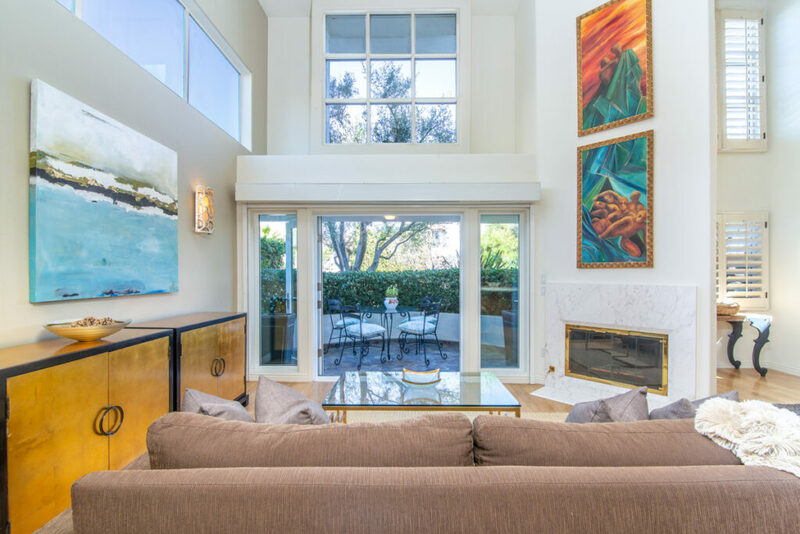 Dramatic 2-story living room featuring lofted windows and incredible light, elegant hardwood floors, and cozy, marble fireplace. 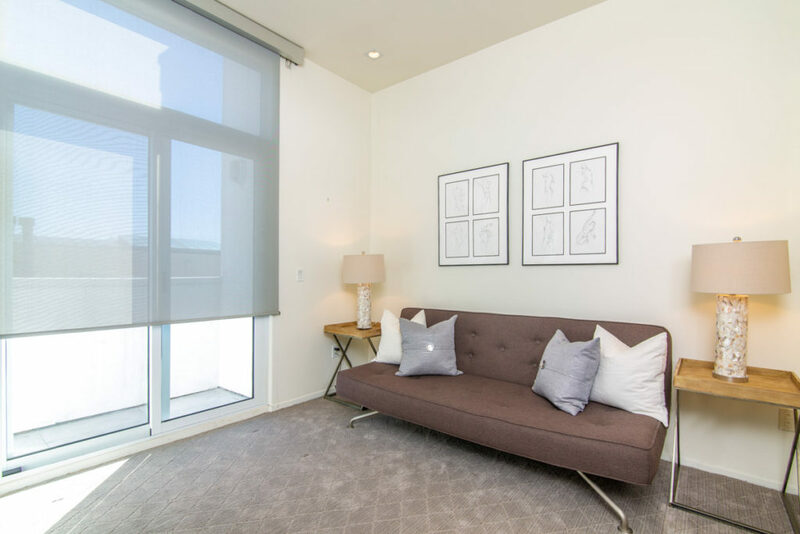 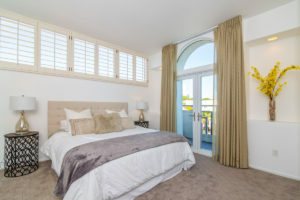 Newer Fleetwood doors opening to two exclusive ground floor patios and upstairs balconies. 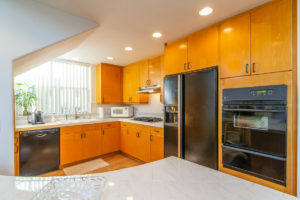 Open kitchen and dining areas boast heated floors. 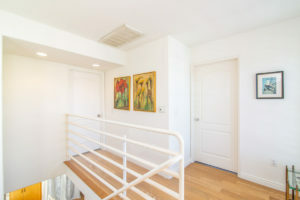 Large loft on second level spacious enough for office, media room and more. 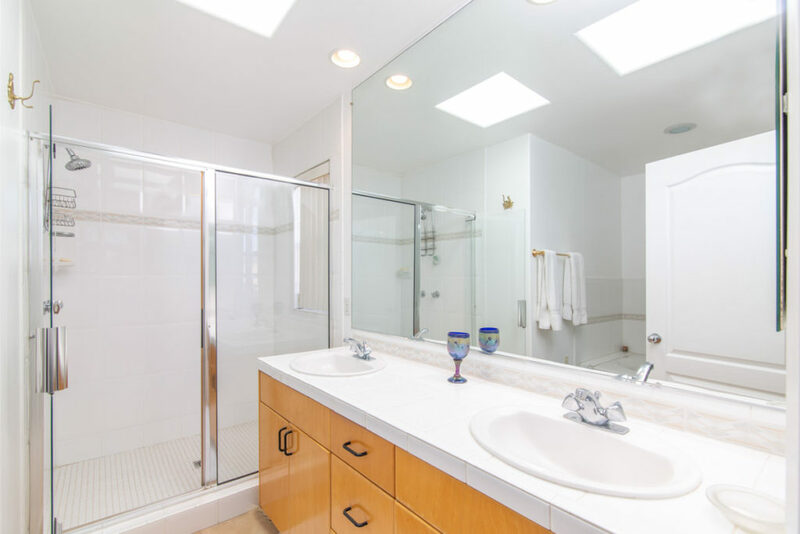 Third level master with walk-in closet, bright skylit master bath with separate shower and spa tub. Newer carpet in both bedrooms. 2-car side-by-side parking, central HVAC, inside laundry. 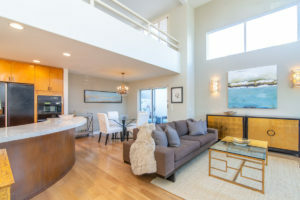 Gorgeous opportunity in prime area!